Can you name Arthur C. Clarke’s top 5 astounding predictions? When famed science fiction author Arthur C. Clarke passed away in 2008, he left behind an immense and multi-faceted legacy. Clarke, alongside contemporaries such as Isaac Asimov, demonstrated that science-fiction literature can enrich public discourse about the role of technology in society. Clarke was the son of a radio operator and his early exposure to the rapidly developing field of electronics led to a preternatural ability to imagine applications for future technology. His reputation as a visionary author was so powerful that when film auteur Stanley Kubrick was looking for a screenwriter for a science fiction film in 1964, he reached out to Clarke, who was living in seclusion in Sri Lanka at the time. The script he wrote would end up becoming 2001: A Space Odyssey and it would contain some of his boldest, and most precise, predictions. In a 1964 BBC Special entitled Horizon, Clarke enumerated his personal predictions for the world of 2000 in honor of the 1964 New York World’s Fair. In the special he stated that satellites would “make possible a world where we can be in instant contact with each other, wherever we may be” and for those of us living in the present, Clarke had no idea how correct he really was. Strangely enough, Clarke’s predictions for a global telecommunications network were spawned in 1945 by a 28-year old Clarke in an article that he wrote for Wireless World entitled “Extra-Terrestrial Relays: Can Rocket Stations Give World-Wide Radio Coverage?”, regarding the potential uses of geostationary satellites. Clarke theorized that :rocket which achieved a sufficiently great speed in flight outside the earth’s atmosphere would never return.” Once the rocket reached orbital velocity, it would become “an artificial satellite, circling the world forever with no expenditure of power — a second moon, in fact.” Bear in mind that Clarke’s paper was written well over a decade before the former U.S.S.R. sent Sputnik into orbit. Today, telecommunications satellites in geostationary orbits have made the wireless information age possible and it was theorized and predicted in its entirety by Clarke decades in advance. As mentioned previously, Clarke’s mother was a radio operator and in this light it becomes clear why Clarke was so intuitive regarding wireless communications, but his theories extended beyond just communications, but also to the internet as a whole. Clarke’s article on geosynchronous satellite networks helped spur interest in the subject, and NASA actually began collaborating with Howard Hughes on the Telstar project in the early sixties (which ultimately set the path for everything from satellite television broadcasts to HughesNet internet plans as we know them today). As the technology was being developed, Clarke became a mainstay on televisions shows, and when speaking to an Australian news program in 1974 he told the host that by the turn of the century, people would be able to access “all the information needed for everyday life: bank statements, theater reservations, all the information you need over the course of living in a complex modern society.” For comparison, online banking services weren’t popularized until the late 1990’s and by 2000 80% of banks offered online banking, showing that Clarke accurately predicted the rise of the internet, and even further, online banking almost to the year. Clarke made several outlandish and inaccurate predictions including bio-engineered ape servants and the dissolution of cities, but the mechanism that Clarke believed would hasten the fall of urban areas did come true: telecommuting. In his 1964 World’s Fair television special, he predicted that by 2000, “men will no longer commute, they will communicate” and that a person could “conduct his business from Tahiti or Bali just as well as he could from London”. Clarke said that telecommuting would ultimately prove to be a “wonderful thing,” if only in that it meant that people “won’t have to be stuck in cities,” and they’d be able to live “out in the country” or wherever they want. Anyone in international business will attest that telecommuting and videoconferencing has saved countless hours of travel and agony as well as millions of dollars and that it is almost exactly as Clarke described. What do authors look really like? Countless moodily-lit faces, arranged against a background of bookshelves or graffitied brickwork, have failed to convince the public that they are looking at somebody who writes for a living. Or doesn’t. Authors’ photos are the tip of the iceberg. The problem is capturing what makes a writer a writer, and not just somebody in need of a makeover. The only accurate visual representation of an author appeared in Teenage Mutant Ninja Turtles in the eighties. Krang, one of the best, and certainly the grossest character to emerge from TMNT is, in every way that matters, a writer. 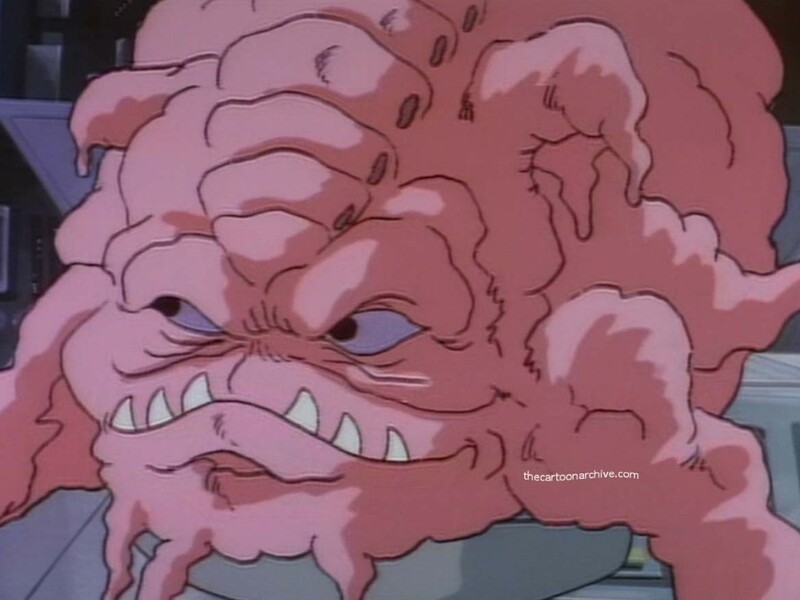 From the midriff of his robotic body, the disembodied brain of Krang peers at the world from its sealed capsule. Krang’s urges, the standard-issue drive of evil alien warlords everywhere, are to emerge into a world reconstructed in his own image. In eerie replication, the writer takes the raw stuff of real life and turns it into stories. The writer’s brain is located, not in the head as commonly assumed, but in the stomach. Writing is, a digestive rather than an intellectual process, peering out at the world it will re-make according to the perceptions and capacities of each individual imagination. We are doomed to turn everything around us into story, however well or badly we write it down. Writing is a skill but the urge to write is driven by an alien digestion. J. G. Ballard coupled skill with a powerful imagination that took the disturbing reality of his experience and made it even more disturbing. Interviewed by Thomas Frick for The Paris Review, Ballard identified why writing is so essential to our proper digestion of life. When I re-started my writer’s stomach recently, I was surprised at the demands of this dream-digestion process. In a small but Damascene moment on the Northern Line, I had the choice to write down a plot resolution or check I was on the right line. The writer’s stomach won. It took 40 minutes to get to where I should’ve been. What is the relationship between artists and depression? The skilled and thoughtful William Gosline returns for a second guest post. The news of Robin Williams’ suicide has sparked an ongoing conversation about depression and mental ill-health among artists and other creatives. In a nuanced post Gosline reaches beyond the simple correlation between creativity and depression, to reflect on the real and complex relationship between the two. Read William Gosline’s serial fiction Jury Selection at the author’s blog. A week has passed since the world lost one of its best and brightest. Robin Williams took his own life. The Internet has writhed conjecture, as is its nature, but perhaps as a sign of its maturation, the overarching tone is one of loss and sadness. Eulogies as memes abound. Because who amongst us hasn’t felt the heavy hand of depression, either within a loved one or ourselves? Robin Williams’ passing epitomizes one of humanity’s great contradictions: that the most gifted and giving of us are often the most tortured. Artists are especially susceptible. Depression, madness and suicide recur elliptically in the lives of our great creators. Spalding Gray, after watching Tim Burton’s Big Fish of all movies, drowned himself in the river. Sylvia Plath put her head in an oven. 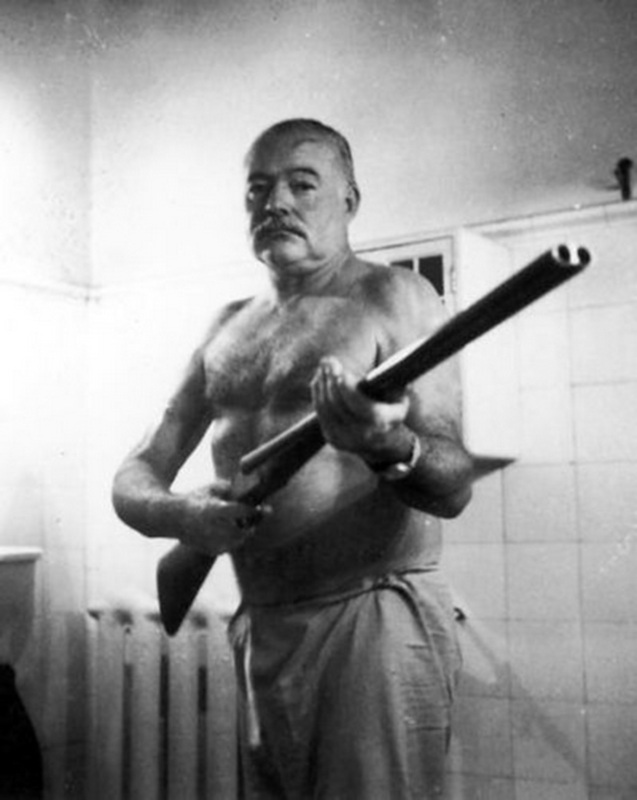 Ernest Hemingway, stripped in his dotage of his trademark virility, took matters into his own hands. But what is the connection between vision and psychosis, between depression and creativity? By rights, Picasso should have been mad: he worked in four dimensions. 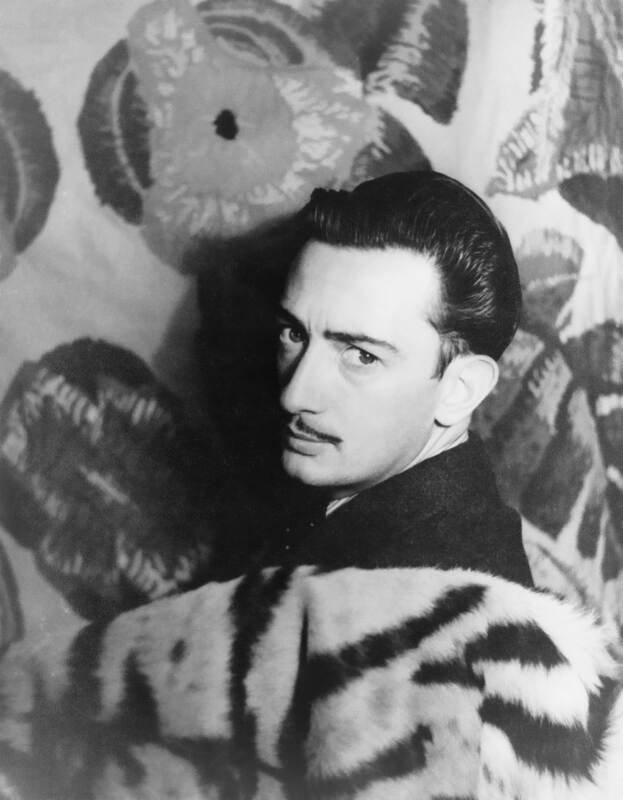 Dali, with his wild eyes and curled mustache, only pretended to be mad and when asked to play a truly mad man, the Emperor in Alejandro Jodorowsky’s never realized Dune epic, sanely declared he would–for the sum of $100,000 an hour. A cynical nod to the shrewd megalomania of Hollywood and a point in fact: his madness was self-promotion. Van Gogh, on the other hand, painted the commonplace, pastoral world in which he lived. Dali and Picasso consciously manipulated reality, its tropes and dimensions. Van Gogh, for all the effulgence of his art, the broad strokes and bold colors, painted what he saw. Yet, it was he who lost the battle. Perhaps then in contemplation of his craft, we can get a bit closer to the crux of the question: what is the relationship between the artist and depression or madness. In the course of doing research for a character based off of Jack Kerouac, I pieced together an extremely rough sketch of the famous Beat writer. I read some of his work but also found the ancillary scholarship on him just as illuminating. Of French Canadian extract, he was a quasi second-language speaker whose first language, Quebec French, was dismissed as nothing more than a backwoods colloquial dialect. Like many writers, he was astride two worlds, at home in neither. But such alienation, while important to the formation of the writer, is not necessarily a prerequisite to insanity or depression. Salavdor Dali was mad but mad north-north-west. When the wind was Southerly, he knew to ask Hollywood for a big pay cheque. Of more value is a consideration of the method by which he worked. The manuscript of On the Road is almost as famous as the book itself: one long scroll that he pounded away at over the course of a few weeks, literally churning it out of the typewriter. It is here that we might begin to discern a connection, in the spontaneous, feverish “channeling” of Kerouac’s recollections. In fact, in the preface to his collected letters, the editor mentions the perils of spontaneous writing. Kerouac, like Gene Wolfe’s famous character Severian the Torturer, was doomed to forget nothing. The avalanche of memory crushed him and towards the end, even the solitary heights of Big Sur, an aerie to which he had oft retreated for silence and solace, couldn’t save him. But if Kerouac was powerless before memory, exhuming it in frenzied streams, others are powerless before sensation. Van Gogh was evidently that and in the world of literature, his match might be the forgotten Swiss writer, Robert Walser. Robert Walser, like Van Gogh and Kerouac, was the passive observer. In an essay by William Gass, his anonymous narrators are described as “will-less wanderers, impotent observers of life, passive perceivers of action and passion.” As Walser drew nearer to the asylum where he would live out the rest of his life, his writing became increasingly disjointed and impressionistic, the nebbish narrator flitting from field to café, from cobbled street to farm, like a drift of cloud. I believe that Robin Williams held something in common with these artists. His improvisation was explosive: machine-gun one-liners uttered at the speed of thought; impersonations rattled off in a bricolage of association. His performances were gut busting, hilarious, his ability to transition from idea to idea, mind-boggling. But in light of recent events, there is also something troubling in the frenzy of his delivery. As though, through frantic incantation like a Catholic priest or a mystic, he could stay just one step ahead of his ghosts. I have ventured too far down the path of conjecture. The truth is I was as shocked and dismayed by his death as everyone else. My rambling is just an effort to make some sense of it, to furrow some parameters around depression and its relationship to the artist as a means of self-preservation. Because Robin Williams had fooled us all, with his broad smile and kind eyes. Here is a man, we thought, who has attained peace despite his tribulations. But his suicide is an object lesson for us of how easy it is to mistake someone who has come to terms with their demons with someone who has succumbed to them. Can excellence survive in the era of digital publishing? Excellence isn’t a word often heard in the world of digital self-publishing, where Good Enough has more force when backed up with six-figure sales. In a smart essay William Gosline asks and answers the question; can excellence survive in the digital era? Gosline is a talented writer of speculative fiction, currently writing a fascinating serial fiction Jury Selection. I get the feeling you’ll be hearing more of him. Answer The Question is my regular slot for guest posts, you can get details on how to contribute here. What do Charles Bukowski and William Gass not have in common? 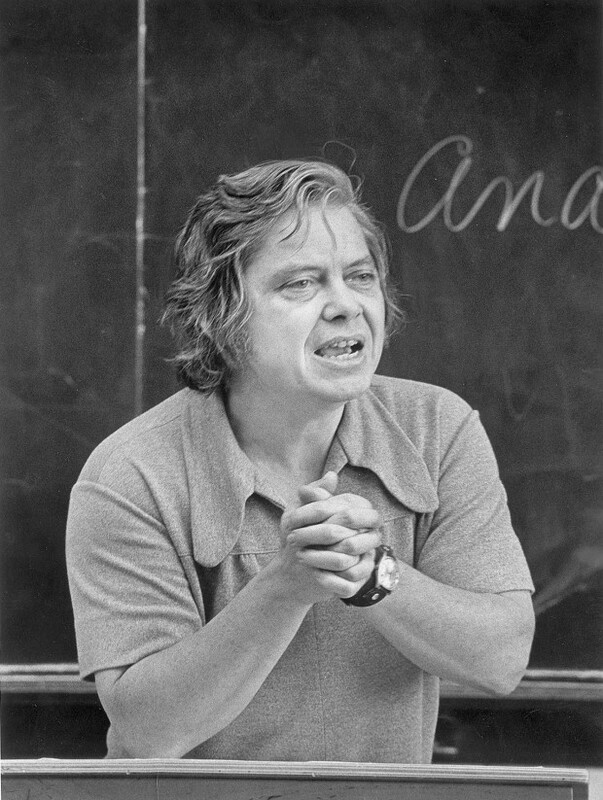 Charles Bukowski and William Gass are not usually mentioned in the same breath. They do share some similarities, however. Both were raised in abusive households – not the same one, of course; their generation was one rife with domestic abuse. Both turned to writing to make sense their father’s rage, their mother’s disaffection. Finally, most who know their work would agree that they are serious writers, if not literary figures. 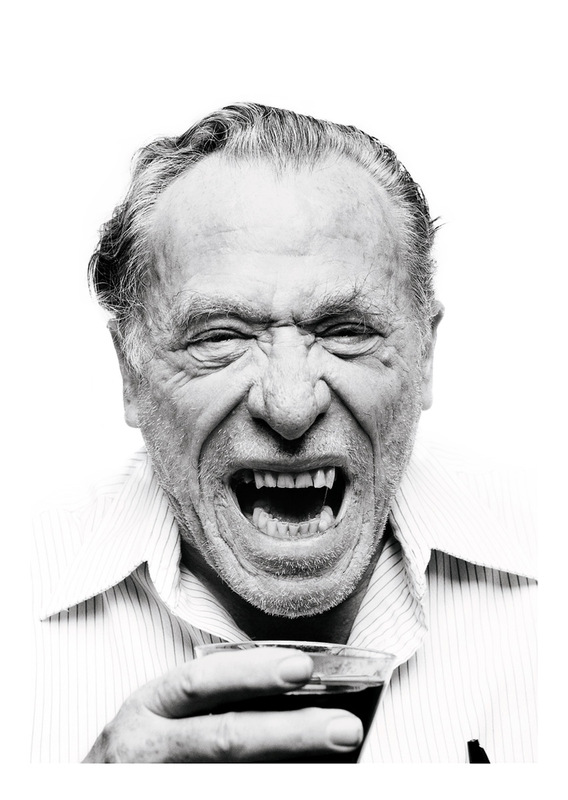 Bukowski had become a legend before his death, loved by celebrities and the workingman alike. Gass, on the other hand, is still trucking along at the age of ninety, happily peripheral but well regarded in certain circles. But there is also a fault line between the two that, like most fault lines, is at once minute and significant: the question of Form. No aspect of writing can inspire as much ire as Form. For some, like Gass, it’s the pinnacle of craft. For others, it’s a dirty word: form is what “educated” writers rant about, what college courses study, what critics praise. In short, Form is for the elite. For the pulp novelist, the digital self-publisher, the everyman who hit it big with a thriller written at midnight, the proof is in the pudding—and the checks they brag about: Readers want story. In William Gass’ titular essay from the collection Finding a Form, he lists the problems of popular fiction: subject matter that quickly becomes irrelevant; twist-endings that forestall revisiting; posturing from a belief system that will someday become obsolete. And it is the quest for lasting that leads writers like Gass to think first and foremost of Form. For the Methodologist — as he calls his caste of writer — every word enlists the ghosts beneath and behind it. Strung together and multiplied, they, like the tip of the iceberg, evoke metaphor and meaning within the subconscious of the “free reader”. Form, then, is what lasts when all else has been swept away. In the 21st century, literature—like the publishing industry that represents it—is in a state of disruption. Words no longer carry weight nor have the depth of meaning they once did. The novel, that giant wounded whale, is being pecked at by smaller, swifter predators. In the digital universe, entire idioms are created and rendered to dust over night, misspellings and grammatical errors replicated. Writing that both Gass and Bukowski would consider mediocre at best is out there, proliferating with the speed of a million typing fingers. With social media, writers are no longer at the mercy of their critics. The doors have been flung open. The barbarians have arrived at the gate. Those in the Ivory Tower shake with fear, along with their shuddering edifice. The question becomes, can the goal of William Gass “to achieve a lasting excellence” survive the digital publishing revolution, or will his efforts be run over, like a desert tortoise in an Arizona suburb — places also hastily erected in a bubble of confidence? In short: can the lasting excellence that Form strives for survive in the Digital Era? Where are my international Amazon Associate commissions? Many book bloggers and even writers earn commission from Amazon by linking to books and other products sold by the giant online retailer. But many of them are leaving money on the table by not directing their international readers to the right international Amazon store! Jesse Lakes of GeoRiot steps up with a great guest post which shows the problem and offers some handy solutions. Answer The Question is my regular slot for guest posts, you can get details on how to contribute here. Where are my international Amazon Associates commissions? Marketing products online has many mysteries – few of which are easily solved. However, without a crystal ball it’s nearly impossible to know the answers, so you may be missing the “thing” that crumbles your efforts or propels them into the stratosphere. If you use affiliate links from the Amazon Associates Program you have likely come across one of the many questions GeoRiot got a little obsessed with – “Where are my International Amazon Associates commissions?” Fortunately, we have our own crystal ball of sorts, and are happy to share our findings. It turns out that most marketers fail to consider their international audience when promoting items, using something we call “raw links.” Raw links are ones that only go to a single destination (such as amazon.com). Users who normally purchase in other stores (amazon.co.uk, amazon.de, or one of the other 11 international Amazon stores) are often inconvenienced due to language, currency, shipping, or account barriers and likely won’t buy anything. Think about it, if you were in LA, would you buy something from Germany if it were also available on Amazon.com (with Prime!)? However, sending international visitors to their local version of Amazon is only half of the answer. The second half stems around using storefront specific Associates Programs. Of those 13 total Amazon storefronts, 11 have separate Amazon Associates Programs (Mexico and Australia don’t have one – yet), and commissions can only be earned when the Associates ID comes from that Amazon store’s Associates Program. For example, a German visitor should be sent to Amazon.de using a tracking ID from the Amazon PartnerNet (the German version of the Associates Program) while a Canadian visitor goes to Amazon.ca with the Canadian version of the Amazon Associates Program to get credit for that sale. To sum it up, this means that not only do you need a link that sends a visitor to their local Amazon store for the product you are promoting but you’ll also need to affiliate it with the tracking ID from that same Amazon Associates Program. Great! …So then how do you manage to send users to the right store, with the right ID attached for each individual click? Some marketers add separate links for each of the Amazon stores for each product you are recommending, or create different geo-targeted versions of your site for each segment of your visitors, but those solutions can be cumbersome for your audience and time intensive to maintain. Alternatively, you could check out a “Link Management” service (such as GeoRiot) designed to tackle exactly these types of problems automagically. When researching be sure that your solution not only “localizes” (changes the domain of the URL to the correct store), but also “translates” (finds the same product in a foreign storefront even when the ID changes) for every click. This provides the best experience possible for every user, leading to a higher chance of a conversion, and makes you a happy marketer. Now that you’ve stared deeply into our crystal ball, hopefully that helps explain one of affiliate marketing’s greatest mysteries. With the extra money you earn from international commissions, you can hire someone to solve the rest. Happy linking.